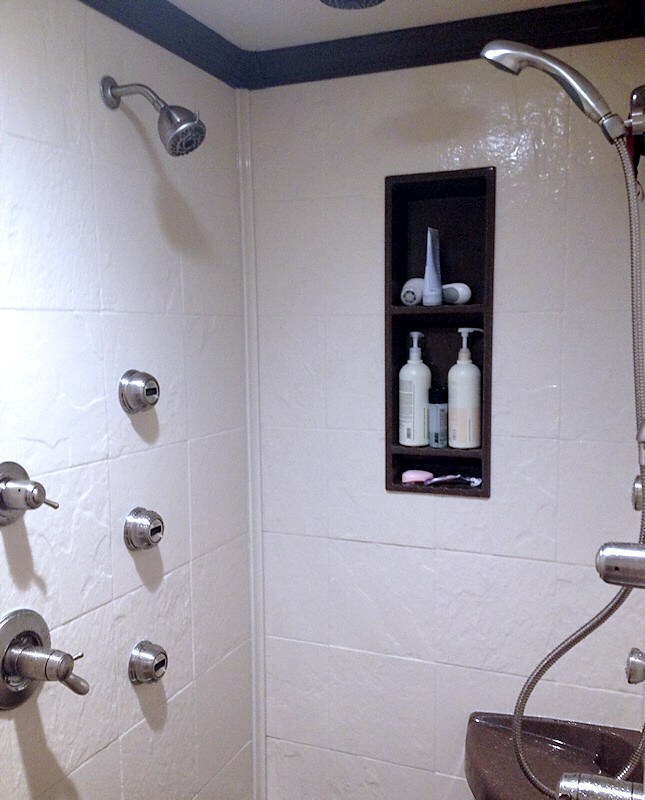 You have many choices if you’re planning a Minneapolis bathroom remodeling project. That’s a good and a bad thing. It means there are a lot of great products out there, but finding the right ones for your space can be difficult! At New Windows for America, we’re passionate about providing the very best products and installations, which means we whole-heartedly recommend the Onyx collection of tub and shower walls, wall panels, and accessories. Gloss Finish: This type of finish can also include inlay stripes and picture inlays. Stone Tile: Get the look of stone tile without the cost. Subway Tile: This finish can provide you with the look of tile without all that pesky grout. Slate: Get the look and feel of natural slate in a wide variety of colors. Matte Finish: This type of finish provides you with a spa-like look. You also have the ability to enhance your space with specialized accessories that match the style of the wall or surround you choose for your bathroom. You can choose from shower caddies, seats, towel hooks, and much more. Style is what clients often get the most excited about at the beginning of the Minneapolis–St. Paul bath remodeling process, but durability and low-maintenance products are what everyone gets excited about after our job is done. Onyx products are made to be durable so they’ll last, but they’re made to be low-maintenance too. Because there are no grout lines, you never have to worry about spending a Saturday afternoon scrubbing the tile. There’s no need for special treatments either like there is with more traditional materials, like marble and granite. A bathroom remodel is unlike any other remodel in your home. You can always sleep in another room or use a microwave if you’re remodeling the bedroom or the kitchen, but you can’t go without your bathroom! Onyx products are made to be quick and easy to install, especially when it’s our team of trained professionals doing the installation. Depending on the particular products you choose, we could even be in and out of your home in as little as a day! Twin Cities bathroom remodels require the right products and the right team to install them, which is exactly what you’ll get at New Windows for America. Give us a call to learn more about all your Onyx tubs and shower surround options. You can also fill out our online form to get a free estimate!